After a young couple gets married, what often follows is planning to have a baby. This is arguably one of the most exciting and positive times for newlyweds. But if cancer is a dimension of this picture, these plans can go awry, and that can take a toll on the strongest relationship. “We had to face this together. We had to get through it and we had the same outlook. We were very positive,” says cancer survivor Christy Soholt. Christy and Trevor Soholt of Edmonton know about this first-hand. Christy, now the manager of stewardship at the Alberta Cancer Foundation, felt a lump in her left breast when she was 28 years old (she is now 34). Although a mammogram didn’t detect anything, the radiologist was concerned about a subsequent ultrasound. A biopsy confirmed she had cancer and, after discussing treatment options with her surgeon, Christy opted for a mastectomy. “I just wanted it out of there and to remove future risk,” she says. She had successful surgery within a week; margins were clear and, since the cancer was at its earliest stage, the prognosis was excellent. However, the protocol still recommended four sessions of chemotherapy, which Christy took over a four-month period. The treatment took a toll – she gained weight, was weak and tired. “It took a long time before I started feeling like myself again,” she explains. But even before she started chemotherapy and had surgery, that same surgeon delivered even more devastating news. He told the Soholts, who desperately wanted a family, the treatment would make Christy sterile. 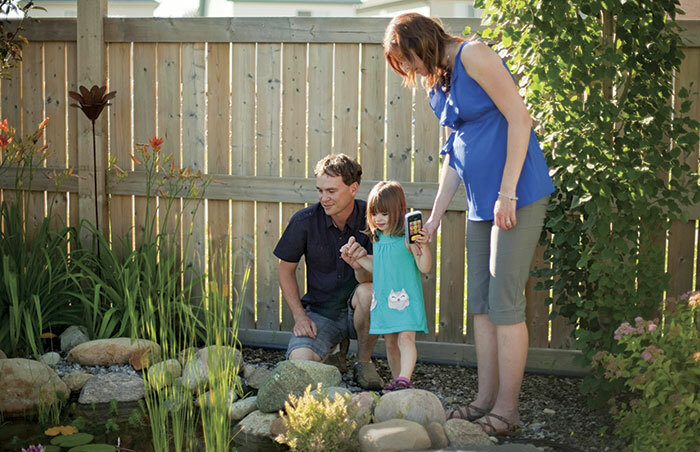 Within days, the couple got a more promising, second opinion at the Foothills Fertility Clinic in Calgary. “The experts there were not as glum as the surgeon was,” says Christy. They could try in vitro fertilization (IVF) and freeze embryos for future use or they could “wait and see” if Christy’s body would retain its fertility. There were considerations regarding both choices. IVF was costly at approximately $10,000 per treatment (one treatment includes three attempts at implantation) and the estrogen injections – needed to boost egg production – might increase her chance of the cancer coming back. If early menopause kicked in (which sometimes happens with chemotherapy), Christy would not be able to have her own children. There were many uncertainties and no guarantees. The couple decided against IVF and in favour of seeing if she could get pregnant, naturally, down the road. The Soholts were thrown by their reality – cancer, surgery, follow-up treatment, the question about fertility – but went right into coping mode. Christy garnered support by talking frequently to Trevor and close friends. She took a three-month medical leave from work to manage the challenges of chemotherapy. Christy, an independent and goal-oriented career woman who took pride in her ability to provide for their household and herself, found this role switch hard. It was also a financial hardship as, in addition to Christy’s unpaid leave, Trevor simultaneously put his plumbing apprenticeship on hold to be available to support her. Although Trevor does not typically talk about his feelings, he was encouraged by Christy’s openness and, in turn, shared some of his own fears and anxieties. Also, her fierce autonomy and unwavering efforts to keep things “normal” made Trevor feel more encouraged about their situation at the time, and their destiny. 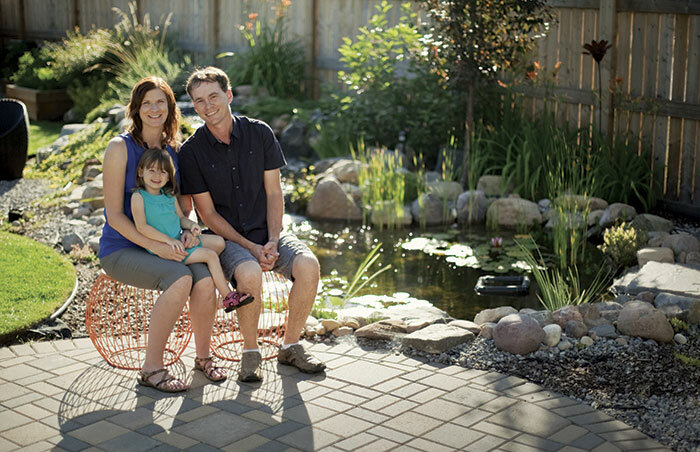 This healthy approach to cancer is music to the ears of clinical health psychologist Guy Pelletier, who works with cancer patients and their families in the department of Psychosocial Resources at the Tom Baker Cancer Centre in Calgary. It is common for a cancer diagnosis and treatment to impact all relationships (friendships, dating duos, older married couples) but there are unique factors associated with the relationships of young adults. For example, young adults with cancer may not be able to engage in the same level of activity as they once did, leaving the partner or spouse confused and isolated. Surgery or treatment which compromises body image as a result of neck, face or breast cancers, for example, might be “particularly demanding” for young people, who are in the “glory days” of their body image, while putting additional stress on the supporting party, says Pelletier. And of course, as in the case of the Soholts, cancer survivors can be uncertain about their future fertility after treatment. This can be worrisome for a young couple who wants to have children. Wrapped around these practical features is the overriding emotional stress of the diagnosis on the young couple. Cancer is a “nasty surprise,” says Pelletier. “It is completely out of the developmental norm and particularly unwelcome and difficult for young people.” But there are effective ways to manage this stress and salvage, or even strengthen relationships at this vulnerable time. “Expect the depression, anxiety and anger to creep in,” he says. But maintaining as positive an outlook as possible and taking things one step at a time will keep these upsetting, but normal, emotions at a manageable level. Note that if negative feelings are overwhelming, long-term or debilitating, you might benefit from seeking out a mental health professional or support group. Pelletier advises talking to trusted friends and family and letting these people help you out; you may even find support in unexpected places. Be alert to some disappointment if a close friend cannot commit to you. Such behaviour is not about you, but about his or her fear of cancer or mortality. Finally, self-care is key. Try to eat well, get moderate exercise, good sleep and engage in social activity, but don’t push yourself too hard. These practises will heighten endorphins and moderate troubling sensations. Because Christy and Trevor managed her cancer experience using these kinds of strategies, they were in a good position to deal with what would become the next round of life’s ups and downs. A look into international adoption proved disappointing as Christy’s young age and health history made the couple ineligible for consideration. “It felt like another door slamming,” she says. They considered surrogacy, but ultimately contacted a local adoption agency. After filling out the screening forms, doing the home study and waiting nearly two years, they adopted baby Payton, who is a happy and healthy two-year-old. Another wonderful surprise for the couple was when Christy’s menstrual periods came back. But even this happy event was not without its difficulty. Although Christy never lost hope that a biological child was a possibility for them (even after more than a year of trying), Trevor was not so sure that was going to happen. In fact, it took three pregnancy tests to convince Trevor that Christy was, indeed, pregnant in June 2013. Sadly, the celebration was short-lived as she suffered a miscarriage just one week later and a second one that October. “We were heartbroken. For the first time since the cancer diagnosis, I started doubting that it would happen for us,” she says. Ironically it was then that Trevor felt more positive. Fertility was, in fact, present and a viable pregnancy could happen. And it has: Christy and Trevor are expecting a baby boy next month. 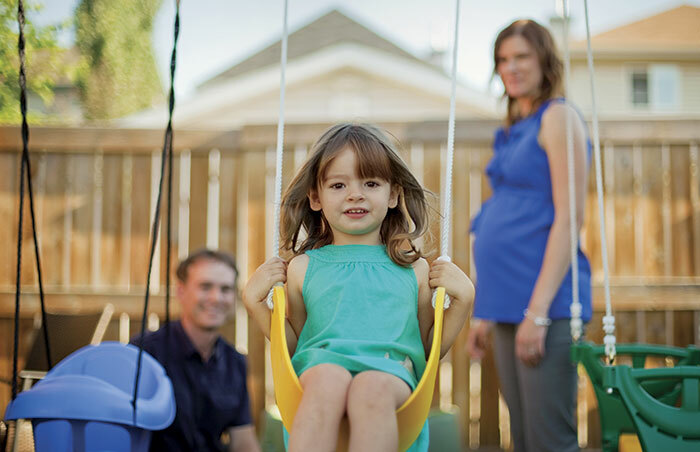 Christy and Trevor’s fertility and adoption story was initially featured in the summer 2011 issue of Leap.